Fishing Frenzy Boat fishing in lakes, swamps, rivers, and oceans. Boat fishing in lakes, swamps, rivers, and oceans. 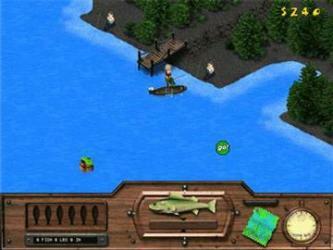 Explore and fish 30 one-of-a-kind lakes with Fishing Frenzy! Pilot your boat around incredibly rendered landscapes, from lakes and swamps to rivers and oceans. Compete in tournaments and timed races, find hidden treasures and more in your quest to land "the big one"! 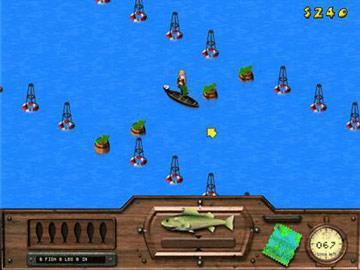 Win prize money to upgrade your boat and gear, so you can catch even larger fishes and compete in bigger tournaments. But watch out! There are predators lurking in these waters. You never know when alligators, sharks or sea monsters might be waiting to steal your hard- earned catch! Upgrade equipment, bait & boats. 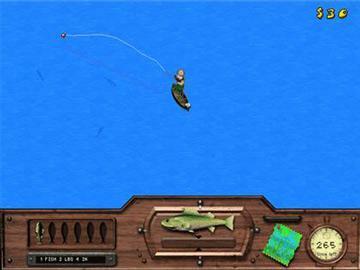 Easy-to-use controls for the boat & fishing rod.